The Junction Farmers Market No ratings yet. 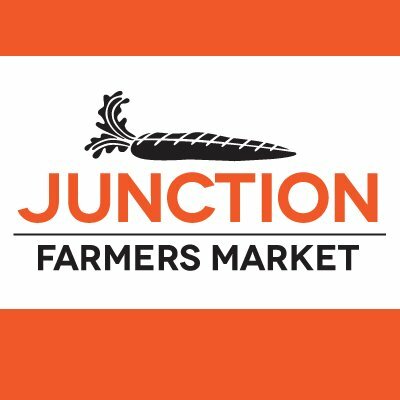 The Junction Farmers Market provides local, sustainably produced fresh foods in ways that build community, support local food growers and producers, and promote access to healthy food for all. 1. Create a diverse and vibrant space where community members can gather to find healthy, local and ecologically sustainable food. 2. Facilitate relationship building between community members and local farmers, increasing awareness of the importance of local and sustainable farming. 3. Promote equitable access to healthy food by strategizing with community partners on food justice initiatives and increasing dignified access to sustainable foods for all community members. Community ~ We value a welcoming space for all community members to meet, shop, talk, eat – building a thriving local economy and healthy community. Sustainability ~ We value the economic, social, environmental, and health benefits of buying local, sustainably produced foods. Equity ~ We value an alternative food system, where all community members have equitable access to food, and where farmers are rewarded fairly for the important work they do.